After decades of violent conflict that affected millions of people, the process of rebuilding a peaceful society has only just begun in Uganda. The city of Gulu is located in north-western Uganda and has a population of approximately 150,000. The Gulu region is the historic homeland of the Acholi people, and it was at the centre of the violent conflict that riddled the country for decades. The leader of the Lord’s Resistance Army rebels, Josef Kony, was born here. Gulu has become the country’s second largest city due to the great number of internal migrants from rural areas who fled here.We want to grow up to be big and strong! In a conflict that began in the late 1980s, the Lord’s Resistance Army abducted over 25,000 children, recruited between 60,000 and 100,000 child soldiers, and displaced almost two million people. In the 250 camps for the internally displaced that were set up in northern Uganda at the height of the conflict, up to 1,000 people were dying each and every week, mainly due to malaria and AIDS. A truce was reached in 2006, but the violence continued, affecting neighbouring South Sudan and the Democratic Republic of the Congo, too, where over 400,000 people have been displaced since 2008 alone. Thousands of children lost the care of their parents or were separated from them during the war. Children who can no longer live with their parents usually live with their extended family in Uganda. But often, families do not have the means to provide for additional children, or they have lost family members, too. Especially when they are female-headed households or older relatives, it can be incredibly difficult for them to meet the children’s needs in financial, social, psychological, educational and health terms. As of 2012, most of the internally displaced people had returned to their hometowns, but settling back into normal life entails countless challenges. Often basic services are missing and families lack support in rebuilding their livelihoods. For widows and orphans it is especially difficult, as they cannot reclaim the land they formerly owned if the husband or father is dead. Children who experienced incredible violence from a young age can find integrating into society almost impossible, and they urgently need help and psychological support. Children’s Villages began its work in Gulu in 2002. In recent years, we have expanded our family strengthening programme in the region so as to reach as many struggling families as possible. The aim is to alleviate hardship and maintain family stability so that children will be safe and protected and grow up in a loving home. The SOS Social Centre in Gulu ensures that children have access to essential health and nutritional services, as well as education. We assist parents by providing guidance on income-generating skills and parenting practices, as well as counselling and psychological support where needed. In cooperation with local organisations, we also work towards strengthening the support systems for vulnerable families within the community. The SOS Medical Centre provides basic medical care as well as preventive medical services such as vaccinations. All services are open to the community, enabling many people to receive treatment who could otherwise not afford it. 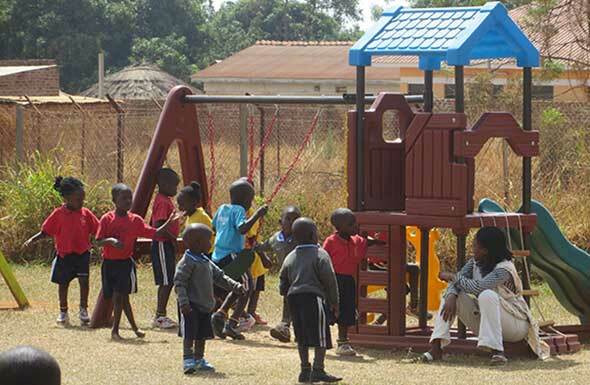 The children attend the SOS Kindergarten in Gulu together with children from the neighbourhood, which ensures that they are integrated into the local community from a young age. 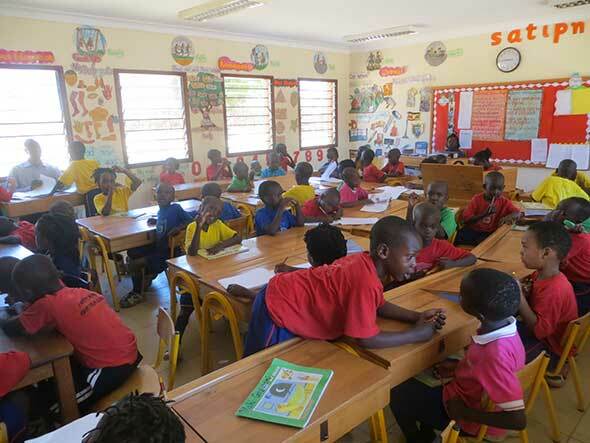 The children then go on to complete their primary education at the school that we run here.